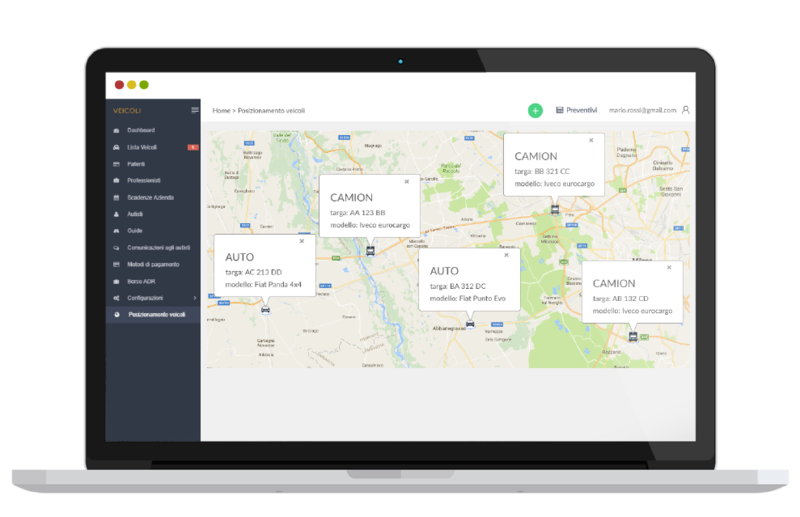 The GPS tracking section allows you to view the position and direction of your vehicles in real time. In addition to a generic map you will have all the details of the trips made by each vehicle. Average speed, driving times, pauses or breaks will be recorded in a historical available up to 12 months. In the Routes section, you can view all the trips your drivers make on days. Mileage, driving times and average speeds will give you total control over driving hours, breaks, and fuel factors. 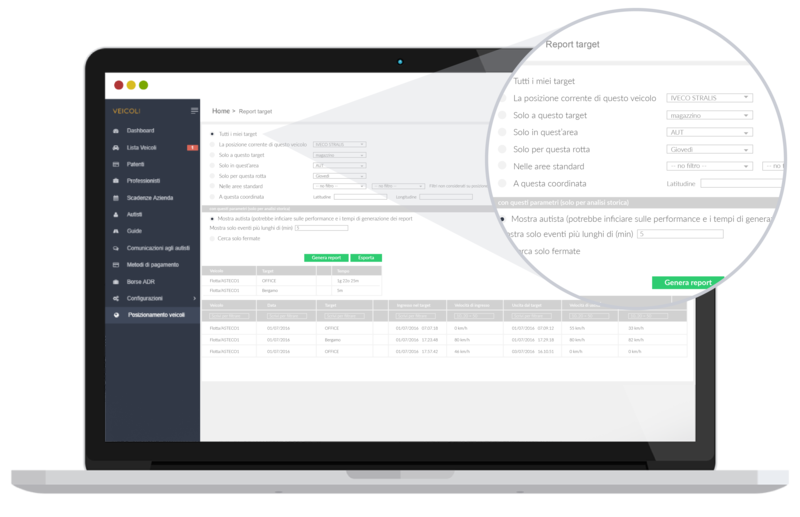 Veicoli offers you over 50 types of alerts and goals. 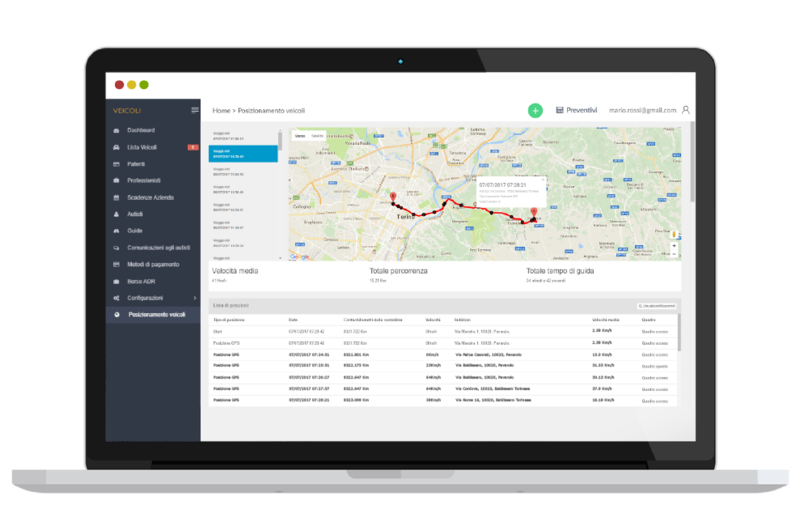 With this solution you will be able to configure and always be aware if your drivers respect the agreed routes. With the Goal feature, you can configure an alert that informs you of the approach or moving away from a defined zone, a stop longer than expected, or an area outside the routes. With this feature you will quickly identify when a vehicle has been in one or more points of interest and how long, also search for extended time periods and various filters for detailed reports.